American religious leader, founder of the Evangelical Association (later the Evangelical Church), born near Pottstown, Pennsylvania. A Pennsylvania German and a Lutheran, he was converted about 1790 to Methodism. 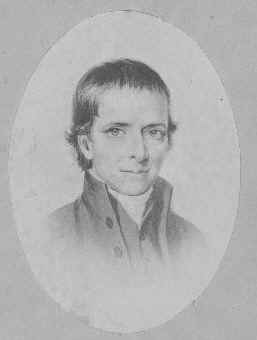 Preaching and forming classes among his converts in the German settlements, he was ordained a minister in 1803 by representatives from these classes and elected bishop at the first annual conference held by his followers in 1807. The movement did not take the name Evangelical Association until after Albright's death. Albright's Methodist followers formed their own German-speaking church due in part to a lack of cooperation with the English-speaking majority of American Methodists. The Evangelical Church united in 1946 with the United Brethren in Christ to form the Evangelical United Brethren Church.